Chancellor Philip Hammond announced in his Autumn Statement last week that the National Living Wage (NLW) will rise to �7.50 in April 2017. Although the increase is 10p lower than expected due to the weaker outlook for pay following Brexit, it still represents a 30p (4.2%) increase on the current NLW. While the NLW increase is positive news and vital for the UK's 1.3m lowest paid workers, many cleaning contractors and FM providers are still struggling to absorb the increase following the introduction of the NLW in April 2016. 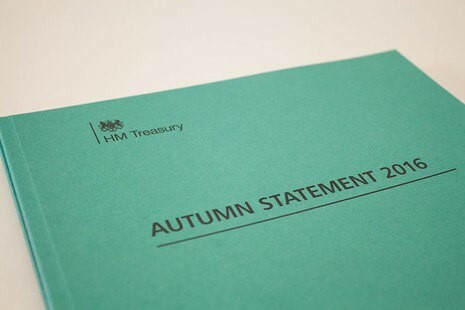 This increase announcement also comes at a time when employers are facing additional costs from pension auto-enrolment increases, changes in holiday pay and the apprenticeship levy. For providers, off-setting these increases may mean cutting back on cleaning hours, cleaning specification, staff training or investment in the contract. Such measures, are likely to decrease staff motivation and productivity, and impact upon client expectations and competiveness. A dirtier building is also more difficult to keep clean than a cleaner building, and like the broken windows theory, is likely to encourage building users to have less respect for their surroundings. On the other hand, providers may look to absorb the increase in costs by reducing profits or increasing prices. Reducing profits is likely to impact financial results, while increasing prices risks losing customers and becoming less competitive in the marketplace. How do you plan to afford the incremental increases to �9 in 2020? With wage costs set to rise over the coming years, it is vital to plan early and look beyond the increases in April 2017. Independent best practice benchmarking can help you to manage costs, find efficiencies and generate productivity increases to mitigate the NLW or to fund the higher rate Living Wage or London Living Wage. For further information or a proposal of costs, call us on 01684 580 685.